Stephen Ackert studied the organ at Oberlin College (BA, BMus), Northwestern University MMus), and the University of Wisconsin (DMA); and organ and harpsichord at the Hochschule f黵 Musik in Frankfurt am Main, Germany, where his teachers were Helmut Walcha and Maria Jaeger-Jung. While a student in Germany (1967-1969), he sang with the Gaechinger Kantorei under the direction of Helmut Rilling. From 1974 to 1978 he worked as a professional musician in Iran, serving as music advisor and resident keyboard artist of the National Iranian Radio and Television Network. A resident of the Washington, DC, area since 1979, Ackert has performed on organ, harpsichord, and piano in many of its prime venues, including the Kennedy Center, the National Shrine of the Immaculate Conception, the National Cathedral, and the German and Italian Embassies. In 2007 he undertook his eighth recital tour of historic concert halls and churches in Germany. He served three Washington area churches as organist and choirmaster: Saint Margaret抯 Episcopal in DC (1979�86); Falls Church Episcopal in Falls Church, VA (1987�89); and The United Church in DC (1990�03) and is currently active as a substitute organist. Head of the Music Department at the National Gallery of Art from 2004 to 2014, Ackert administered its prestigious concert series. 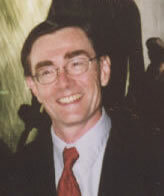 In addition, he presented lectures on interrelationships between music and art at the National Gallery and at the Walters Art Gallery in Baltimore; the German, Italian, and Austrian Embassies in Washington, DC; the Candlelight Concert Series in Columbia, Maryland; the Kennedy Center; and Georgetown University, the University of Wisconsin, Colorado Mountain College, and Northern Virginia Community College. Ackert has served on the advisory boards of the DC Chapter of the American Guild of Organists; the Arlington, VA, Symphony Orchestra; and the Washington International Bach Competitions.